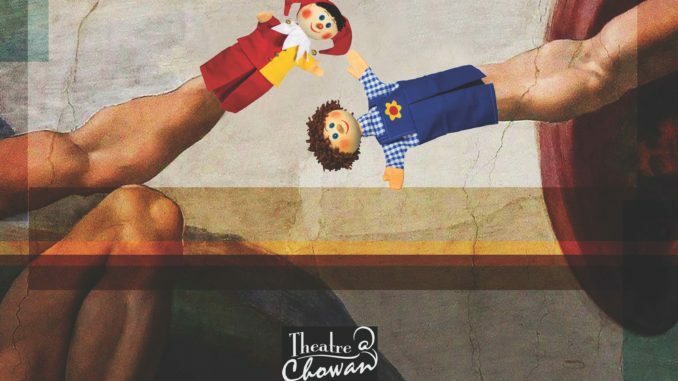 Join us on Friday, November 16 and Saturday, November 17 at 7:00 p.m., and Sunday, November 18, 2018 at 2:30 p.m. in Turner Auditorium in the McDowell Columns Building on the Chowan University campus as Theatre@Chowan will present three performances of Rich Orloff’s comic play collection, Nothing Serious. Nothing Serious is a collection of 7 short, 10-minute sketch comedies by New York playwright Rich Orloff. In this collection, Orloff takes aim at marriage, relationships, and the theatre itself. Orloff’s unique blend of wit, wisdom and vaudeville-type comedy promises to have the audience laughing as Orloff hits his targets and our funny bones. In Playwriting 101, a playwriting professor gets played by two of his characters. In Can This Marriage be Saved?, Humankind takes God to court. In Off The Map, a bickering couple gets some friendly advice from a local resident waaay down south. In Eve & Adam: The Untold Story, Orloff shows us his version of what really went down in the Garden of Eden. In Last Minute Adjustments, final preparations are underway before the protagonist’s “birth” day. In Oh My God, Another Play, the audience gets a behind-the-scenes peek at what really happens “backstage.” These seven pieces are some of Orloff’s funniest, short plays and one performance you won’t want to miss! Please note: Some mild adult language is used. The 10-member cast is comprised of Chowan University students: Amyah Jones (Freshman; Roanoke Rapids, NC), Joshua Bryant (Junior; Goldsboro, NC), Breauna Johnson (Freshman; Charlotte, NC), Jeremiah Cook (Junior; New Carrollton, MD), Lajeffrica Smith (Senior; Fernandina Beach, FL), Tyanna Fuller (Sophomore; Lexington, NC), Kaylah James-Jones (Sophomore; Roanoke Rapids, NC), Alyssia Parker (Junior; Suffolk, VA), Shanelle Thompson (Sophomore; Kannapolis, NC), and Jarious Carter (Sophomore; Charlotte, NC). Tickets: $3 donation. All funds raised will benefit PAWS of Hertford County, Bringing hearts together to provide animal welfare and security.